Patna, April 2 (IANS) Prime Minister Narendra Modi on Tuesday attacked Congress for insulting the Indian Constitution's prime architect B.R. Ambedkar while the his BJP-led National Democratic Alliance government honoured him. "Congress has always insulted Ambedkar. 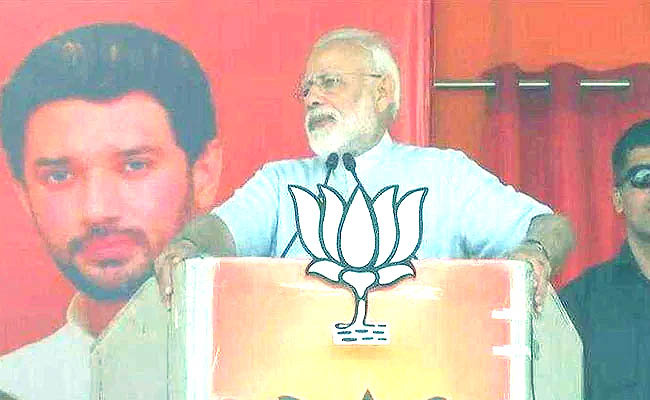 But the NDA government is doing everything to respect and honour him," he said at an election rally in Bihar's Jamui constituency from where ally Lok Janshakti Party's Chirag Paswan, the son of party chief and Union Minister Ram Vilas Paswan, is contesting. The Prime Minister also sought to clarify that the 10 percent reservation for economically weaker sections, brought in by his government, has nohing to do with ending reservation at all. After Jamui, Modi was to address another election rally in Gaya Lok Sabha seat.